The process to become a foster parent is supposedly a rigorous one, with background checks and home visits and psychological profiles. One would assume that to foster a child requires a special kind of love that is kind and good. But what happens when this is not the case, and the child is thrown into a world of abuse, lies, and mental illness? In Gracie’s Journey Out of Darkness, Nedra Maurine White takes us deep within the foster care system and astounds us with her personal story of a family’s separation and a young girl’s struggle to survive sexual abuse and insanity within her foster parents’ home! For the first seven years of her life, Nedra was known as Gracie - a young girl who was taken from her mother and separated from the majority of her brothers and sisters by the State of Michigan. Initially, she was placed in a foster home with two of her brothers and a “…teenage boy much older…who had been adopted” (White 1). Their foster mom was a kind and beautiful woman who wanted to adopt Gracie, “…but because she was in her early sixties, the State would not let her” (4). Gracie knew that her brothers and foster mother loved her, but her young life held a disturbingly dark side; because when no one was else was looking, the teenaged boy would take her “…into the shed with him…can’t count the times we were in the shed together…” (3). This act was the beginning of a pain that, for Gracie, would not seem to go away! At seven, Gracie’s life continued to spiral out of control. Her brothers were adopted by a family that only wanted boys, and she was adopted by the woman who would ultimately change her name from Gracie to Nedra – a woman determined to destroy the body, mind, and spirit of a young girl! In the community, this woman was heralded as an ideal foster parent, the “…sweetest person you would ever want to meet” (12). But Nedra’s experiences inside that house were anything but ideal! The atrocious and vile treatment that she endured at the hands of this woman is too much to mention – one can only imagine being strong enough to live through such horror! At twelve, Nedra finally had enough! Even if this meant living at a psychiatric hospital for children, because her adoptive mother “…must have told them also that [she] was crazy” (24), Nedra was determined to never return to that house! And she didn’t! It was also during this time that Nedra began to mature into adulthood – and develop a strong and profound faith in God! She didn’t stay at the Center for long - moving on to have children, get her own place, work, and pay bills. But Nedra’s depression was a constant reminder of her haunted past and her uncertain future! She longed to reconnect with her family and to be rid of the demons that led her “…down a path of destruction…” (61)! I could go on about the pains that Nedra suffered during her lifetime. They are heart-wrenching, and it blows my mind to know that people do exist that could treat a child so cruelly. But through my tears, I soon realized that the beauty of her full story - the thing that is so astounding – is that despite being separated from her family, despite the horror of sexual abuse, and despite being thrown into adulthood while still a child, Nedra never gave up! She never gave up on being free from her adoptive mother! She never gave up on the belief that, one day, she would be reunited with her family! And she certainly never gave up on trusting that God would deliver her from her physical addictions and mental anguish! Reading Gracie’s Journey Out of Darkness not only left me with a profound sadness about the sufferings of a child, but it also inspired a renewed gladness in me once it became clear that - regardless of whatever pain and torment is present in our lives - the human spirit and God’s grace and mercy is powerful enough to overcome seemingly insurmountable odds! I leave you, reader, with Nedra’s own advice to anyone who is in pain or struggling with the weight of this world, as she is one who has come close to hell and been brought back: “With the help of God and his Merciful Love… continue to move forward and pray…I say to you, Never give up because anything is possible…” (124). What is one of the most misunderstood words in the English language? You guessed it...L-O-V-E! Everyone has had their fair share of the trials and tribulations, joys and pleasures of love. Sometimes the love is good, and sometimes it’s very, very, bad! In Tracy L. Darity’s novel, He Loves Me, He Loves Me Not!, the ramifications of falling in love with the wrong men - and the growth that comes with this process - serve as the basis of a novel that spans ten years, two children, a divorce, and marriage! The book begins by introducing Khadejah Johnson, a high-school senior from a tight-knit family. Khadejah’s mother and father expect great things from their daughter and had “…sacrificed much to ensure that money would be readily available for each child to attend college” (Darity 3). Khadejah fully expects to follow the traditional life path of career, marriage, and then children, but a betrayal by her first love - Terrance Newsome - propels her into the arms of Justice Williams, a man ten years her senior! Soon she realizes that Justice is not ready for commitment and even his own mother expresses disapproval of Justice’s treatment of Khadejah. Mrs. Williams asserts that Justice is “…obviously not ready for a real relationship” and cautions him to “…be satisfied with what you have” (91). But as they say love is blind and Khadejah continues to accept Justice’s flagrant mistreatment until she finally reaches her breaking point! Now with two young children in tow, the lion's share of the story follows the ups and downs of Khadejah’s quest to find a loving relationship as a single mother. Like many women, the men that Khadejah attracts are a direct reflection of her current state of mind: when she’s at her loneliest after leaving Justice, she attracts Michael, a confused man; when she believes that having career success is most important, she attracts Aaron, the business man; and when her sexuality peaks, she attracts Mylan, the boy toy! Each man - despite their varying personalities -teaches Khadejah valuable life lessons regarding trust, confidence, and self worth, and they force her to understand that she must love and respect her self in order to be loved and respected by someone else. He Loves Me, He Loves Me Not! is an exciting novel, as Tracy chronicles a woman’s mental, spiritual, and sexual transformation from girl to woman while also incorporating the man’s role in this growth. As I read, I found myself pleading with Khadejah to see the true colors of these men and to accept nothing but the best for her life! And I agreed with Khadejah’s best friend who stated that, “…people generally show you who they are. All you need to do is take off the blinders and see what you get” (226). In her, I saw myself and other women who - at one time or another – may have loved a man so dearly that nothing he did or said or showed us would cause us to leave! It was not until we let go of the notion that someone else is responsible for our happiness did we finally (hopefully) move on to more positive relationships. Tracy’s well-crafted story of one woman’s personal relationship journey provided many life lessons for the reader. For me, though, the ultimate message in this novel is that we, as women, must develop our spiritual selves and learn who we are and what we want from life. Then and only then can we attract our true soul mate. It is a lesson that I know to be true! Why doesn’t he like me anymore? Why did she stop being my friend? Why won’t they leave me alone? I’m sure you’ve asked yourself these questions about some of your relationships. As humans, we seek the closeness of others because of our need for social contact and personal connections. When they come to an end, or never begin, we often feel upset and betrayed. Sometimes we assume that the connection was lost based on worldly pretenses – leaving us to wonder just what went wrong! 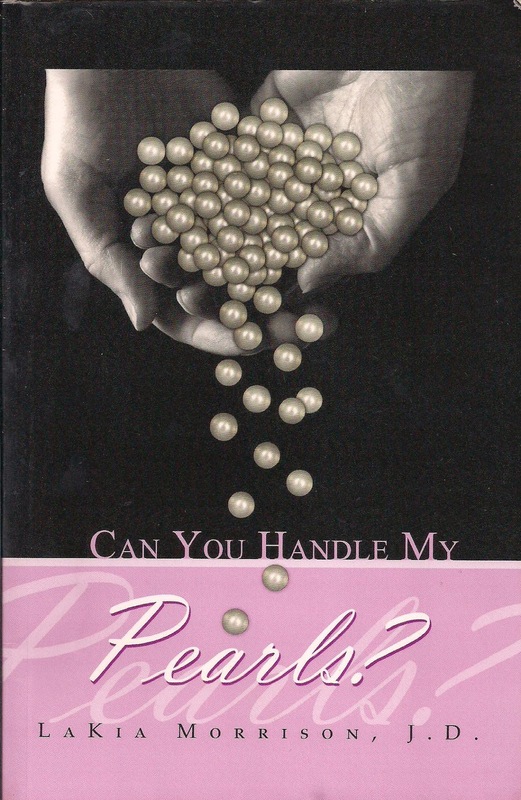 In her book, Can You Handle My Pearls?, author LaKia Morrison offers us positive, spiritual advice for our relationship issues and assures us that “discernment will reveal the answer” (Morrison 2)! LaKia’s first lesson urges the reader to have a greater appreciation of one’s own worth before entering into any attachment, and offers scripturally-based recommendations on avoiding “pearl residue” (4). Using Matthew 7:6 from the King James Bible as the foundation for her book, LaKia informs us that “the principle behind this scripture is that you do not give what is valuable to those who cannot appreciate it. If you do so, you invite disrespect, unnecessary warfare, and unnecessary wounding into your life” (3). This is wise advice - as no relationship can be entered into unless we truly appreciate our own significance! 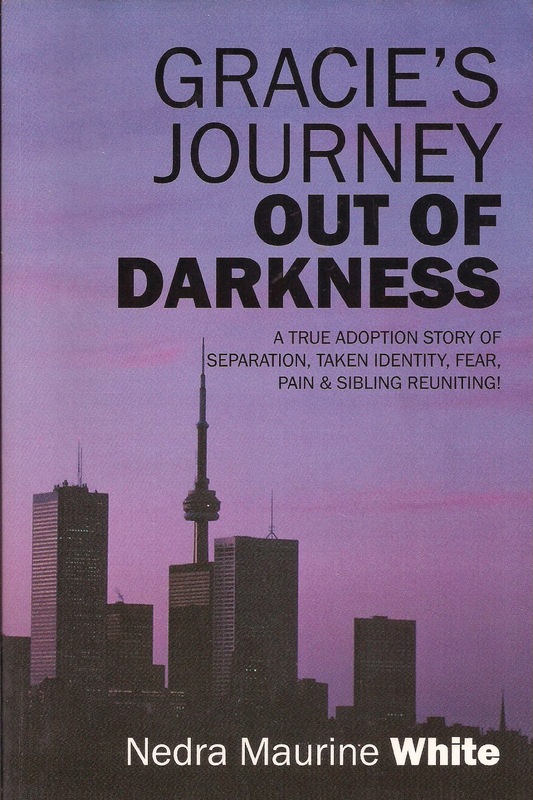 LaKia continues to educate the reader on how to handle other connection issues, from moving beyond pain and guilt - “Do not allow past pain to blind you to an inheritance God is trying to give you” (34) – to beginning lasting relationships - “There should be an observation period before a decision to offer your friendship is made” (87). In addition, her use of the lessons culled from Matthew, John, I Samuel, Luke, and other biblical books assures the reader that our relationship questions are answered based on ancient and spirit-filled guidance! I enjoyed reading Can You Handle My Pearls? because it heightened my awareness regarding the unseen forces that may affect our personal, professional, and social relations. It offered spiritually-based solutions rather than material or carnal ones and taught me to build alliances by realizing that God should be a part of all aspects of my life! LaKia reminds us that there will be those relationships that we keep or give away and those which cause us pain or hurt, but what we must ask ourselves is, do we “…have the discernment to see beyond the disappointment?”(26). Indeed that should be the question you ask the next time a relationship is not what you expected! 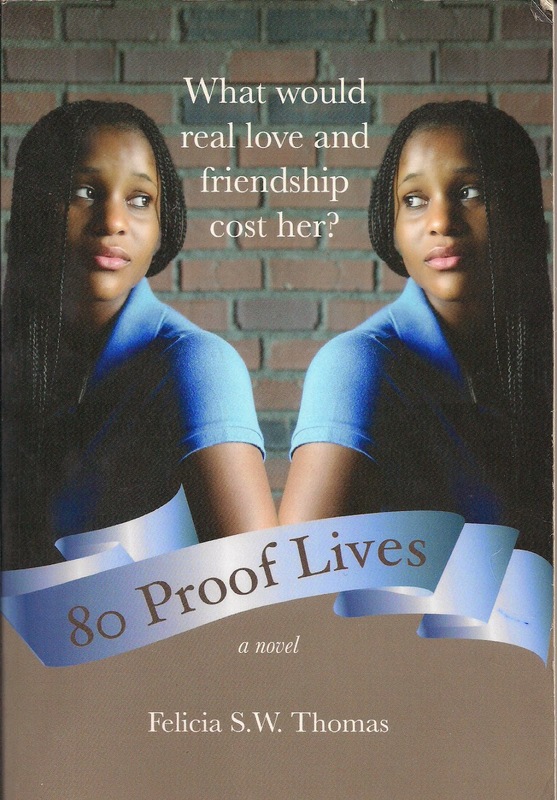 80 Proof Lives, the first published novel by Felicia S.W. Thomas, is a cleverly written tale of love, lies, and loss of innocence. Set in the 1970s in Quincy, Florida, the story centers on “…Fla, which rhymes with clay” (Thomas 10), a 15-year-old girl whose life is changed abruptly when she must go to work for Miss Lipstick, the local bootlegger and madam. During this time, Fla discovers that things are not always what they appear to be and begins her summer-long journey of self-discovery. From the start, Felicia compels the reader to want to learn more about this young girl’s life - a life surrounded by alcoholism, drug abuse, and poverty. The smells, sounds, and sights of rural America either entice the reader to reminiscence about their own childhood or to wonder at how much strength it takes to overcome such unfortunate beginnings. The story holds you captive, as you experience (right along with Fla) an assortment of humorous, upsetting, and heartwarming situations that caused me to cry, laugh out loud, or just simmer in anger! Felicia makes the characters relatable and reminds us that outward appearances sometimes belie a person’s fragile inward emotions. From Miss Lipstick to Mr. Curtis to Momma to Jerome – the supporting cast exhibits the good, bad, and ugly human flaws that are present in us all. Judgment is also an underlying theme in the novel, and even Fla is checked by her boss lady when she judges Miss Lipstick’s clientele: “You know when somebody break a leg, they need crutches for a while to help them get better…All these people, what broke in they lives ain’t better yet…You just see the ones who drink they crutch. Folks hide they pain in many ways” (Thomas 52-53). Felicia’s ability to make the reader feel through her writing is the sign of a true wordsmith, and her novel teaches us about acceptance, trust, and forgiveness. But to me, the most important lesson learned is that where we start out in life does not determine where we end up! Kudos to President and First Lady for bringing Poetry to the White House! President Barack Obama and First Lady Michelle Obama hosted an evening of poetry on May 11, 2011 at the White House. According to Nancy Benac with the Associated Press, “the White House poetry night is part of a series of arts education events that Mrs. Obama has arranged over the past two years to promote different genres of music, dance and now literature. Most of the events have included afternoon workshops for young people and evening concerts”. Guest poets included Billy Collins, Common, Rita Dove, and Jill Scott. I must commend the President and First Lady for their continued commitment to arts education and creative expression in a world so consumed with technological gadgets! They are the people’s First Family! Check out the links below for remarks by the President and First Lady, and poetry performances by Jill Scott and Common. 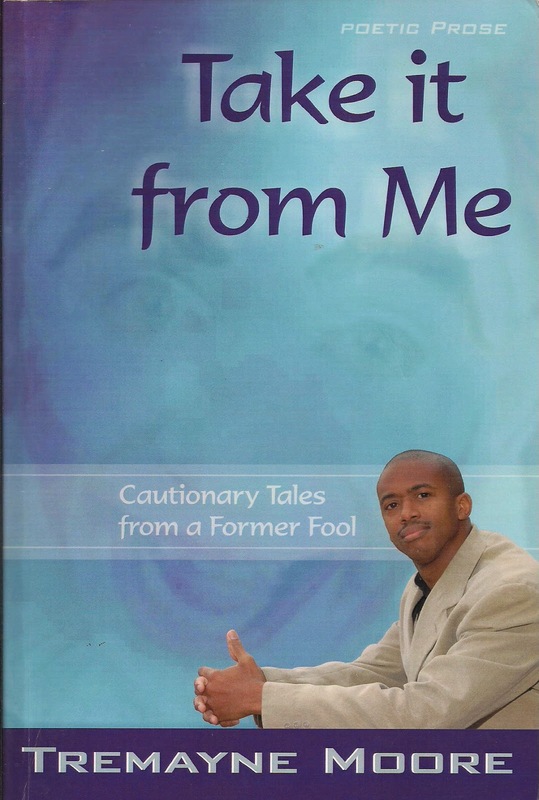 Tremayne’s poems speak volumes about his commitment to Christ, the community, and the concerns of women, and his words encourage the reader to continue the spiritual healing that must take place in today’s world. I was struck by the powerful message of togetherness and hopefulness in “An Imaginary Conversation (Part 2)”. The dialogue between the men and women is reminiscent of conversations that you or I could have had today, yesterday, or a year ago about past mistakes and future dreams, and this poem should definitely be assigned reading for everyone! Another excellent poem of encouragement is “Seasons Change” which helps us to realize that the hurts, doubts, and “…dry spells won’t last forever” (Moore, 76)! Tremayne “keeps it real” on what's going on in our homes, at our churches, in our relationships, and on our jobs, and he offers a simple solution to rectifying these issues: acceptance of God’s Love!